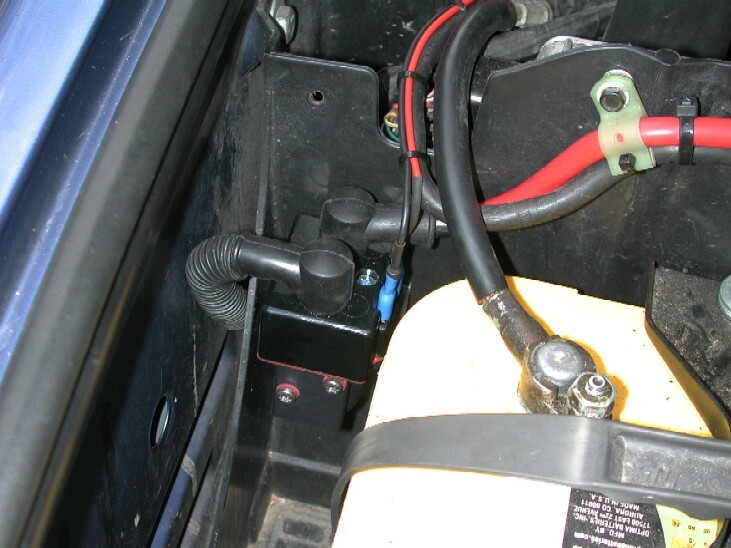 My winch has been installed for a few months, and at the time of installation I did not install any means of completely isolating the power supply to the winch. It was not a major problem, how ever if anyone picked up the wireless remote and pushed the buttons, the winch would work at all times. Ideally you should have some way of isolating the power to the winch so in the event of any problems it can be shut off. There is many ways to do it, one off course is to install a key operated manual battery isolation switch in the winch power line. I did consider this way of doing it, but could not find a battery switch that specified it could handle the potential current draw of the winch. 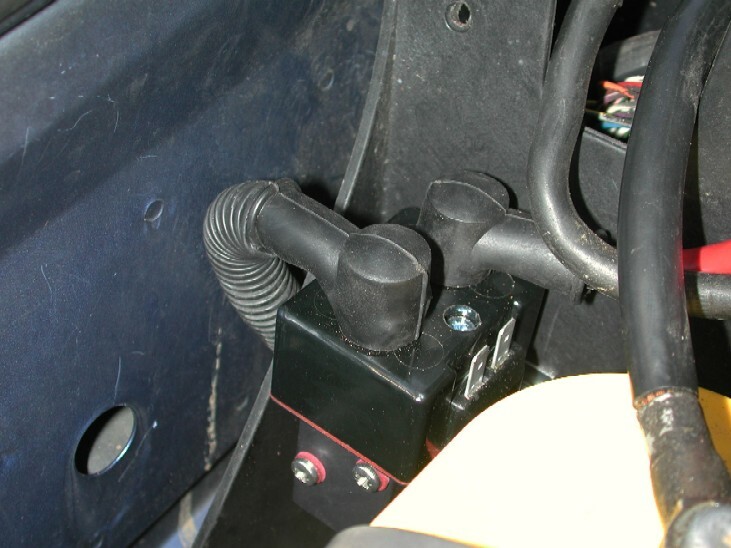 Another way to do it is to use a single winch solenoid and control that with a smaller switch to isolate the supply. There is a "Genuine" land rover kit available to do this job, but I went for what I consider a "better" product. I bought a "single" Albright solenoid to use as my isolator. So, it was just a case of me cutting the winch power lead I had installed before, adding 2 more terminals to connect to the Albright solenoid. I then fitted some more water proof rubber boots to the leads. That's the "easy" bit done, now it was a case of installing a remote switch some where to operate the solenoid. There is 2 blade terminals on the solenoid which require a +12v feed and a ground, it does not make any difference which way round they are connected. 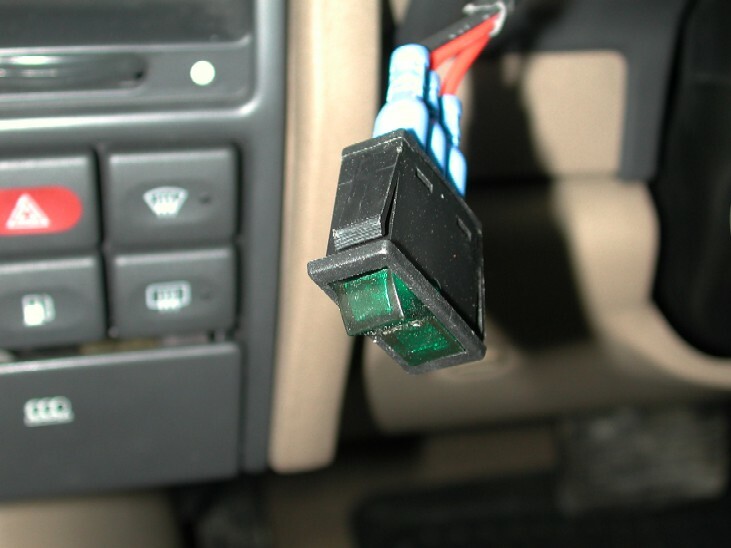 The ground or earth was connected to the earth body studs where the factory battery earth is, and then another twin red / black cable was earthed also at the ground studs and run into the car for the supply wire and switch ground. 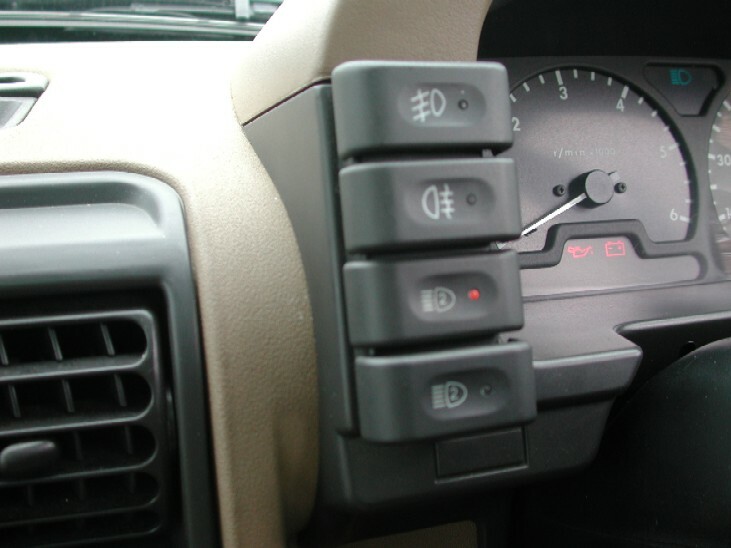 They run up the side of the engine bay fuse box through the body grommet I have used before on both the roof lights and spot lights, once in the car, this was run up to the dash switch as this would become the +12v acc on and ground at the switch connections. 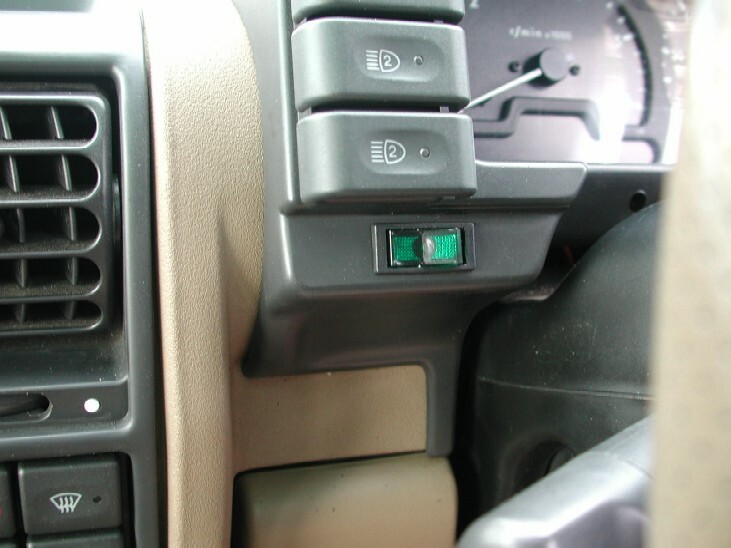 The Discovery has a small "blank" on the dash binnacle below the factory fog light switches, this is where the "factory" winch cut out switch is designed to go. 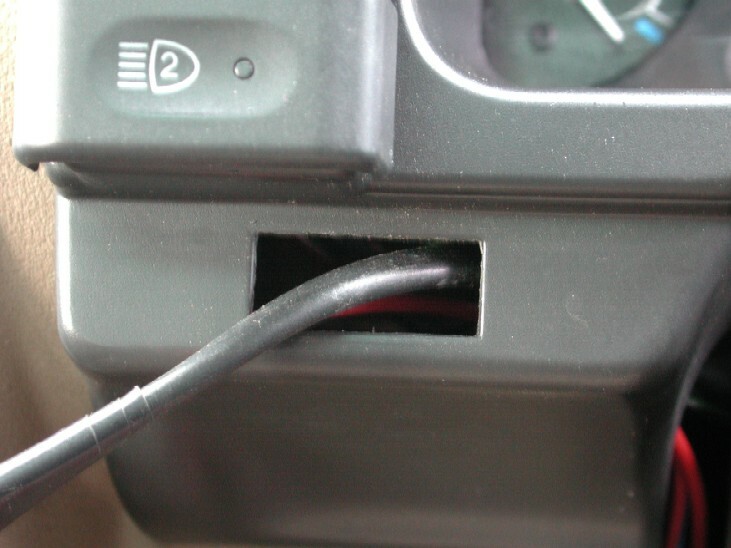 I'm unsure of what type of switch they use, but a standard 3 pin 12v automotive switch can be bought from Halfords and then its just a case of cutting the hole to fit. I then run the cable that came from the engine bay ( Black and Red) up to the switch, added some insulated spade terminals and connected the Black to the ground, and the red to the ACC terminal. The +!2v power supply I took from the interior Fusebox. 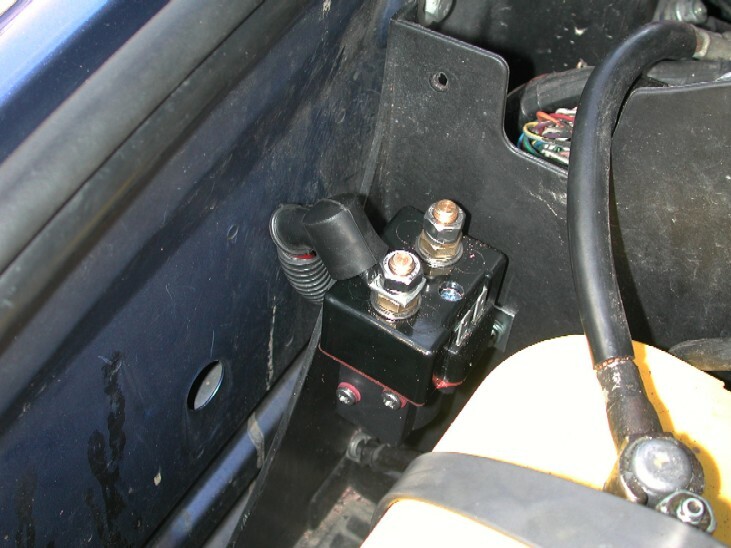 In there you will find a +12v ignition switched supply that only needs a standard spade terminal to connect to it. You could use any +12v permanent feed you like, either ignition switched or direct from the fusebox / battery. That +12v feed from the fusebox was then run up to the switch and connected up like below. I'm very happy how it looks, fits neat and tidy and is even the same "grey" as the dash plastic. 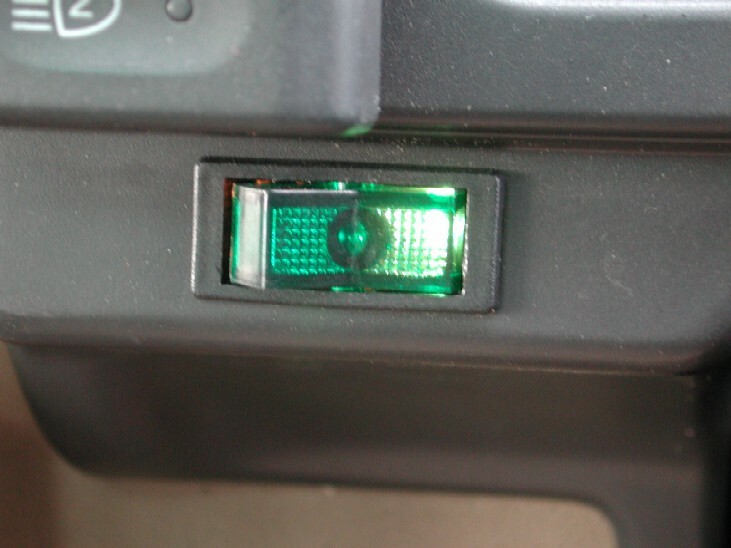 And when its switched on, it illuminates green and blends with the existing green dash illumination. I personally think a Red one would have been to "in your face" when it was lit up, but that's just my opinion!! Now the winch +12v feed is easy to isolate in the car by the driver and won't make the winch live without the ignition on.